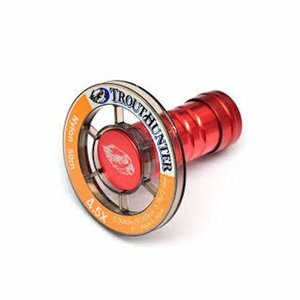 Trout Hunter Large Arbor Stash Tippet Post, Central arbor post features a small waterproof stash compartment and lanyard attachment ring. 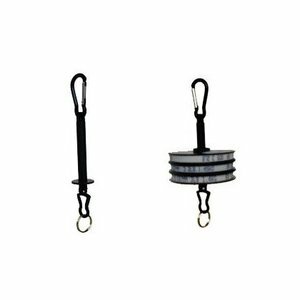 Trout Hunter Large Arbor Stash Tippet Post This post will easily hold 6 spools of TroutHunter tippet material. Central arbor post features a small waterproof stash compartment and lanyard attachment ring. Available in grey or orange color. 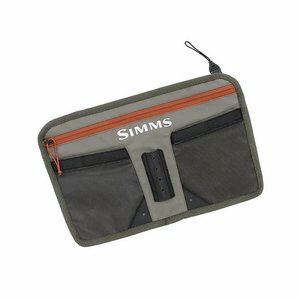 Keep your tippet at hand and organized in this convenient interface with Simms’ Tipper Tender™ zip-in system—available in Simms’ Waders. The TightLine Tippet Holder keeps your tippet safe and organized. 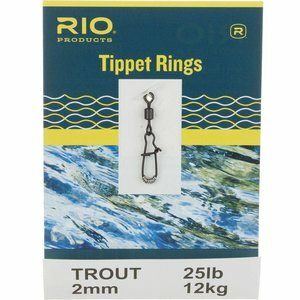 RIO Tippet Ring, small, very strong and lightweight, and make rigging and tippet replacement fast and easy.